The World Apple and Pear Association (WAPA) held its AGM on 5 February at Fruit Logistica in Berlin, with representatives of the key global apple and pear producing and exporting countries discussing the Southern Hemisphere production forecast for 2016, as well as the final Northern Hemisphere volumes. WAPA's annual consolidated crop forecasts for the forthcoming Southern Hemisphere apple and pear seasons saw data collected from industry groups in Argentina, Australia, Brazil, Chile, New Zealand and South Africa - although Chilean figures are still provisional. 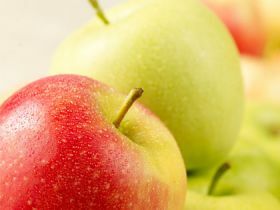 The forecast showed that the 2016 apple and pear Southern Hemisphere crops are expected to reach 5.298m tonnes and 1.378m tonnes respectively, with apples down 2 per cent and pears dropping 8 per cent year-on-year. Apple export figures are set to rise by 6 per cent to 1.63m tonnes, although for pears there will be a decrease of 1 per cent on exports to 684,582. Pear volumes are lead by Argentina on 716,000 tonnes (-12 per cent on 2015), followed by South Africa at 376,000 tonnes (-1 per cent), Chile with 177,000 tonnes (-10 per cent), Australia on 96,000 tonnes (-7 per cent) and New Zealand with 13,000 tonnes, up 11 per cent.